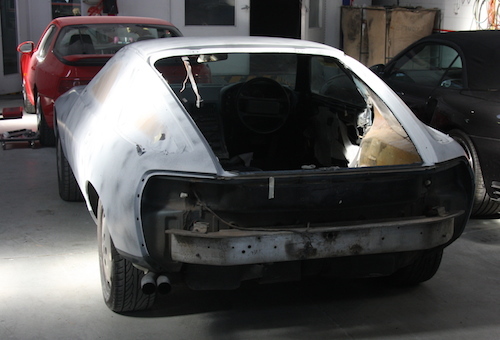 As the restoration of the Porsche 928 continues so does my attachment to the brand. 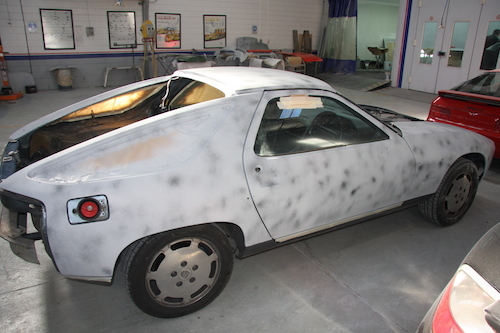 As Paint and Custom in Thornbury continue to meticulously prepare the 928 for its full respray, I continue to scour the internet in search of replacements seals, badges and insignia which will complement the full respray. 928 International (www.928intl.com) have been a reliable source of parts at reasonable prices. When ordering from 928 International it should be noted that it takes between 3 to 4 weeks from time of order to delivery to Australia, so this should be taken into consideration when ordering. The interior has been removed and taken to Motorcraft Motor Trimmers in Coburg for rejuvenation and repair of torn and damaged panels. The seats which were original were showing significant signs of wear and tear including evidence of poorly repaired tears. Rather than attempting to have them repaired, I once gain turned to the internet and found Classic 9 Leather Shop (www.928leather.com) in Michigan, USA. Communicating with the proprietor Robert Budd via email was easy and effortless and as a result new front and rear leather seat covers in a navy blue have been ordered with an estimated delivery time of between 3 and 4 weeks. 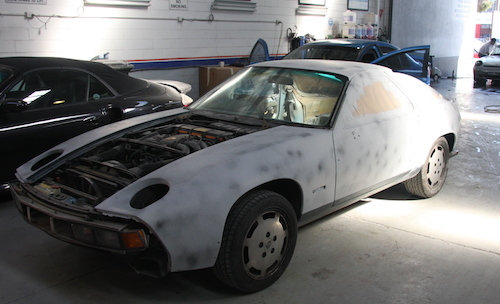 Throughout the restoration process I have relied heavily on the advice of other 928 owners and as such forums such as those on Landsharkoz (www.landsharkoz.com) have been invaluable.